There are no upcoming special events! 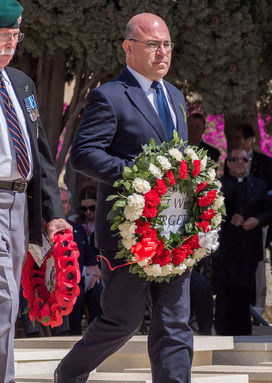 Fondazzjoni Wirt Artna has taken part in this year's commemoration of ANZAC Day organised by the Australian High Commission in Malta at the Pieta' Military Cemetery. A wreath was laid at the foot of the Cross of Sacrifice at this cemetery by FWA Chairman Mario Farrugia. Present were Government representatives, foreign legations in Malta, ex-servicemen associations and represenatives of civil society. Between 1915 and 1916, thousands of A.N.Z.A.C. wounded soldiers from Australia and New Zealend were threated or buried in Malta as a result of disastrous Gallipoli and Darndanelles Campaigns in the Eastern Mediterranean. During that period, Malta was turned into a gigantic naval and military hospital base home to almost thirty hopsitals earning her the much deserved sobraquet of 'Nurse of the Mediterranean'. ANZAC Day is marked every year on the 25th April. Rare British War Medal issued to a Maltese volunteer serving with a British front line regiment. The medal belonged to 636350 Private Francois Pace, a Gozitan who had served in the 20th Battalion London Regiment during the First World War (1914-1918). The British War Medal (1914-1918) in silver was awarded to those who entered a theater of war between 1914 and 1920. FWA has just concluded the complete architectural surveying of Notre Dame Gate a.k.a. 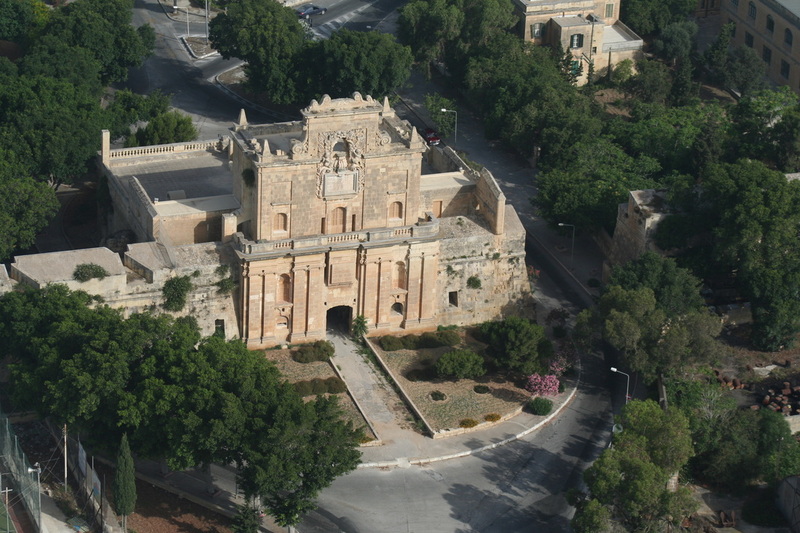 Zabbar Gate/Bieb is-Sultan in Vittoriosa. This work has been conducted both to update the conservation documentation for the building but also to facilitate the completion of the last stages of restoration of the same.